Last summer the Madison City Chess League (MCCL) introduced the All Star Chess Club Program. By offering an East and West All Star club for 2nd and 3rd graders to get an extra hour of weekly practice and instruction, we sought to develop some of our youngest most promising players to be ready for the State Scholastic Chess Championship. The result was a sweep of team awards in the Primary (K-3) school section and a 2nd place team trophy in the Primary Club section for Madison! In order to continue to identify young promising competitive chess players, MCCL will host All Star Chess Club for a second year. In Fall 2016, All Star West Chess Club (for Madison, West Madison, Heritage and Mill Creek Elementary schools) will be run by coach Ed Mullin and will meet Tuesdays from 4:30-5:30 p.m. at Madison Elementary. All Star East Chess Club (for Columbia, Horizon and Rainbow Elementary schools) will be run by coach Ranae Bartlett and meets at Rainbow Elementary on Wednesdays from 4:30-5:30 p.m.
All Star Chess Club is for 2nd and 3rd graders (although coaches, in their discretion, can make exceptions for a few 1st graders). All Star Chess Club is by invitation only. 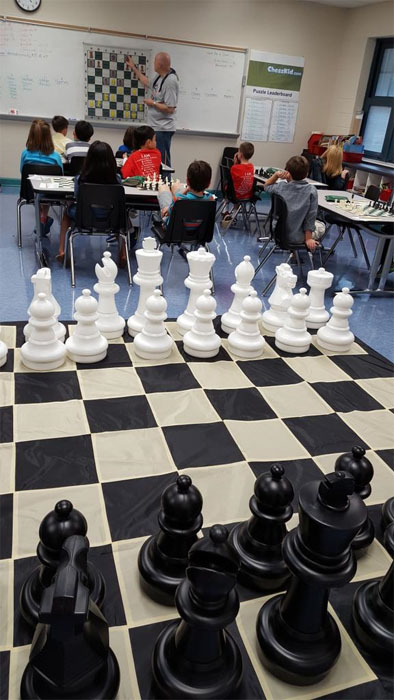 We will rely on recommendations from chess team coaches and chess activity over the summer such as enrollment in summer chess camp, summer edition of All Star chess club, and online activity on chesskid.com.